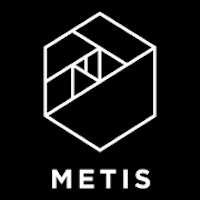 Metis accelerates the careers of data scientists by providing full-time immersive bootcamps, evening professional development courses, online training, and corporate programs in New York City, San Francisco, and Chicago. The Data Science Bootcamp is an intensive program that teaches you job-ready skills for the new economy over the course of 12 weeks. Upon graduating, students are comfortable designing, implementing, and communicating the results of a Data Science project. They will know the fundamentals of Data Visualization and will have introductory exposure to modern Big Data tools and architecture, such as the Hadoop stack. GET SKILLED – Learn Data Science in 12 weeks with 100% in-person instruction. GET CONNECTED – A busy speakers and events schedule, along with daily project work with instructors ensures you are well-networked by graduation. Build a soup-to-nuts passion project to share with potential employers at Career Day. 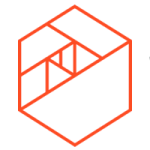 GET HIRED – Leave fully qualified for an entry-level data scientist job. Career Support is available to all graduates. Are you someone that is innately curious? Do you already possess some programming skills and experience with statistics? If you answered yes to those questions, then the Metis Data Science Bootcamp is for you. Students spend 30-40 hours on Pre-Work before the program begins. After which the bulk of the course work is project-based. During the first 9 weeks, students work on four data science projects that aim to “train up” different key aspects of data science. The results from each project are added to the students’ portfolios. In the last three weeks, students build out and complete the fifth project, their “Passion Project”, which they present at Career Day to an audience of Metis Hiring Partners. Data science training provider Metis’s bootcamp has become the first and only data science training bootcamp in the U.S. authorized to enroll international students with M-1 visas, which allow non-U.S. students to attend technical and vocational programs in the U.S. International students who are already in the U.S. on an F-1 visa may also transfer to Metis.